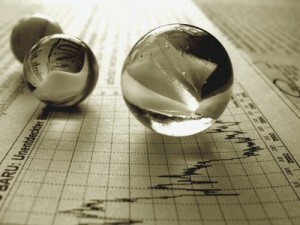 In addition, because binary options traders are not actually purchasing the stock shares directly but rather hedging the investment with regard to whether the price of particular stocks will simply rise or fall within a given period of time, a larger window of opportunity for profit appears in comparison to buying and selling individual shares in hopes of obtaining a specific share price. The use of individual stocks as an underlying asset can offer a great way to invest in the binary options arena. As the stock market is still quite volatile in many countries’ economies, traders may have numerous opportunities to profit when stock prices move up or down, and these profits can often arrive very quickly – in some cases, as little as 60 seconds. For traditional stock investors it can take many months for a fraction of the initial investment to be realised as profit, therefore the potential to make up to 85% profit many times throughout the day is very attractive for many stock traders. There are also other advantages of trading stocks through binary options rather than buying and selling individual shares themselves. For example, predicting whether the underlying company’s shares will simply be rising or falling within a certain amount of time prior to the options expiry is generally much easier for traders to conclude through analysis than attempting to estimate when shares will reach a specific price value. The simple nature of higher or lower for regular binary options is easier to predict and requires much less analysis in terms of creating an exit or stop loss strategy. Stocks simply have to rise of fall fractionally to put the binary options in the money and expire with up to 85% profit. Why trade stock with binary options? Binary options, unlike stock trading can be traded in most market conditions. Whilst traditional stock investors will look for a steady increase or decrease in price in order to make money, known as trending markets, binary options traders are only looking for price to move fractionally higher or lower than the strike price to be profitable. Regular binary options therfore have the potential to be profiable with little market movement and, conversely, for volatile markets they can be traded with expiry times as low as sixty seconds. This allows traders to jump in and out of the market for rapid profits even with price swinging around without any particular direction. A further reason why stocks can be taded very effectively with binary options are that they can be entirely range-bound and still provide very large profits. One of the techniques providing an advantage to those traders who know a stock well is range trading which can earn up to 500% profit for stocks which either stay within a particularly range or that break out throughout the week. This, along with touch trading is offered by most binary options brokers and almost always provide large payouts. For those binary options traders who would prefer to invest in stock indices rather than in individual stocks, there are also some potentially profitable choices here as well. One such index is the Dow Jones Industrial Average, or DJIA. This index represents the price weighted average of 30 large company stocks that trade on either the New York Stock Exchange (NYSE) or the NASDAQ. In many cases, binary options traders will come up with trading strategies that involve using individual stocks and stock market indices. The best US broker with the widest choice of Binary Options on stocks is Nadex, enabling you to trade more than 50 different stock options. Trade binary options on stocks at Nadex now!